It sounds easy to cook a Christmas goose, but gosh, it’s actually a lot of work. I don’t mind, though. 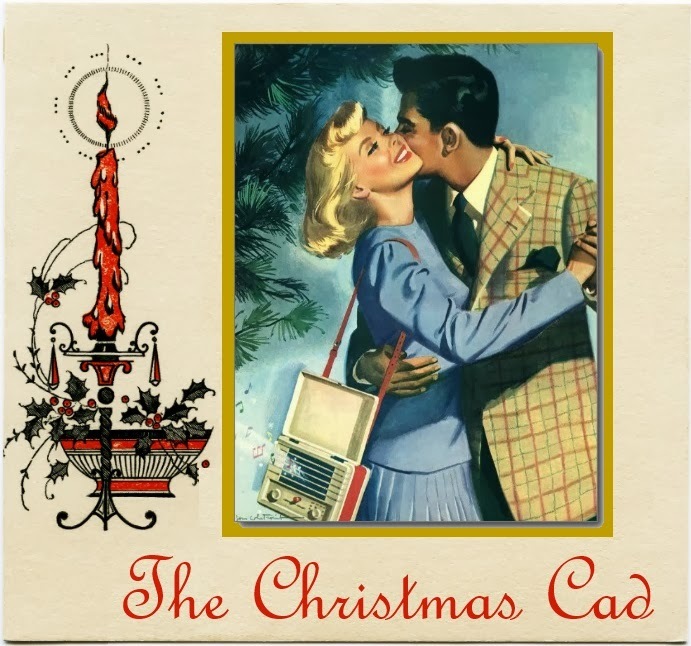 I like doing special things for my Christmas Cad when he asks for them! It’s too bad his buddies chose Christmas Eve of all nights to go bowling, but what could he do? I don’t know how all of this leftover goose is going to fit in the refrigerator. What's with the transistor radio purse? I believe it was the product advertised in the advertisement in which I found the image of our happy couple, which is otherwise -- in my humble estimation -- just about perfect. It's the black tie what does it.